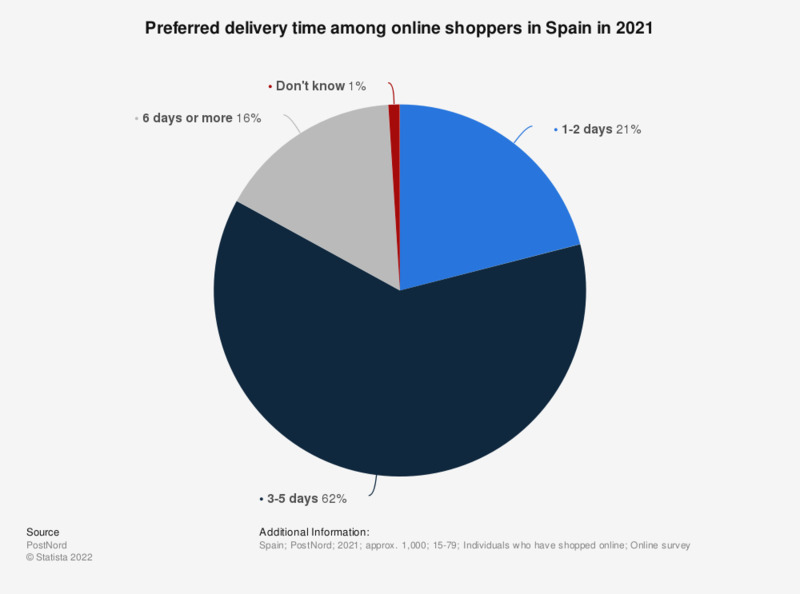 This statistic displays the expectations of delivery times among online shoppers in Spain in 2017 and 2018. During the survey wave in 2018, it was found that 22 percent of respondents expected at most one or two days to receive the product. How do you prefer to have your product delivered when you order online? Do you consider buying medicines online is safe for your health?